Thermally bonded seamless surface for more predictable trajectory, better touch and lower water uptake. High-end materials in cover, backing and bladder for perfect on-field performance. 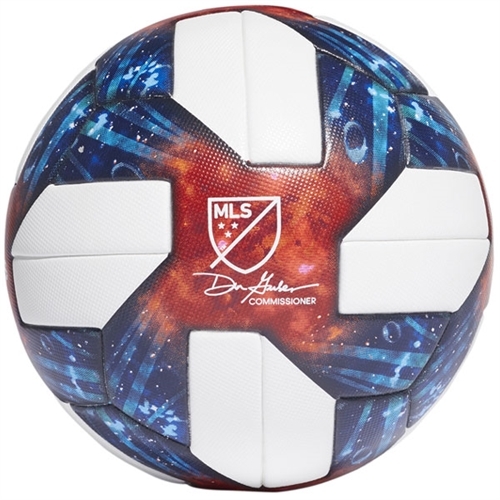 Our adidas MLS Capitano 2018 Official Match Soccer Ball is a top match ball with high-end materials in the cover, backing and bladder ensure perfect on-field performance. FIFA Quality Pro: Highest FIFA rating. Balls passed tests on weight, water uptake, shape and size retention. Thermally bonded, seamless surface for a more predictable trajectory, better touch and lower water uptake.